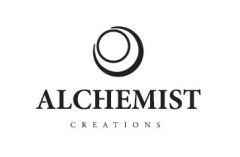 The motto of ALCHEMIST is "turn trash into gold". We aim to utilize ordinary unimportant trashes from daily life and uncycle them into valuable and elegant goods, just like gold, which is the material always be respected and appreciated. ALCHEMIST evokes hand made precisions. Through those hand made aluminum products like timepieces and lighting art designs, ALCHEMIST hopes to remind people of Hong Kong’s glorious past and tries to promote the possibility of making précised products out of recycled materials from human hands.